When it comes to blogging, you might have begun your business blog with the best of intentions only to find that you’re uncertain whether it’s producing any positive results in terms of generating sales. Use the tips below to refocus your blogging energies on content that avoids being obvious sales pitches in order to better attract customers. Read through past blog posts and determine how you would summarize, in one or two sentences what the post was about. If you find that your summaries include the ‘Give me your business’ message above others, you might want to reconsider your blogging content because its primary function is advertising, and few people opt-in to ads. When you’re considering your blog’s content, determine what purpose you want your blog to fill aside from being just another ad for your business in terms of either being informative, a forum for you to showcase your expertise, or a place where you review general developments in your business field. By carefully outlining a purpose, you can craft your blog posts to reflect what you’re trying to communicate. Make sure that you include contact information, where appropriate, such as coupon codes, phone numbers, and your website so that people can contact your business if they want to. Avoid becoming one of those overly stylized blogs that ultimately creates an identity that seems only remotely related to your business. If your use of catchy headlines and language don’t go along with the business image the rest of your marketing materials utilize, it’s likely your blog is working against your overall internet presence rather than enhancing it. 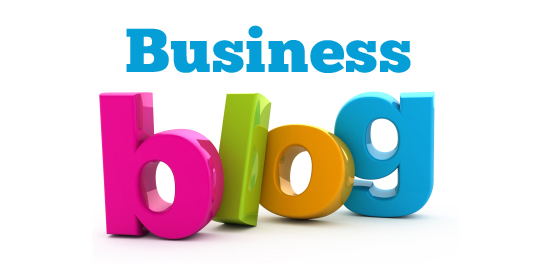 Avoid more than a single sentence in any blog post that speaks about your business in superlatives, such as your business is the best at any particular business function. Not only are superlative statements commonly associated with advertisements, they’re frequently not believed. If you want to say that you’re the best business, consider expressing that thought by specifically referring to things you do well rather than claiming to be the ‘best’. Carefully consider guidelines for guest bloggers in order to avoid bloggers who are merely self-promoting and using their guest posts as sales pitches. Your work will lose credibility if you include guest bloggers whose agenda is nothing more than promoting their own business. Don’t forget that blogs are a form of social media that are designed to provide for a two-way communication so that your content should be directed at your audience. Even if you don’t have specific comments to respond to, you can formulate blog posts that are answering a question you received via phone or email, or you can address a question you believe your audience might have. By reaching out to your audience, you should increase your blog readership. If you are considering using or are currently using a blog as a means of communication with customers and potential customers, refrain from making your blog site an advertisement. Use the suggestions above to create blog content that is likely to gain customer support and awareness for your business.